Jealousy of another woman’s success is stupid, pointless, and beneath us as women. It’s time to stop! Read on to learn why. Written by Marne Platt, VMD MBA, President for Fundamental Capabilities Inc and author for Living Singlish: Your Life, Your Way. It’s Saturday morning, and you’re drinking coffee with your friend Courtney, celebrating her big promotion. While you make happy noises for her, there’s an undertone. ‘What’s so great about her?’ you think. Somehow, it’s hard for you to be unreservedly happy for her. Why? Society teaches us that there can be only one winner, that success is zero-sum game. Competition starts young. In school, we cut down successful or popular girls (remember the Burn Book in Mean Girls?) As we get older, we undercut the successful woman at work, or trash talk a friend. It’s stupid, pointless, and beneath us as women. And we must stop. Jealousy of another woman’s success is a safer way of expressing dissatisfaction with your own situation. It’s like redirected aggression in cats. One cat is upset that the more dominant cat takes her favorite sleeping spot. She can’t attack the dominant cat, so she attacks their owner. It’s a ‘safe’ way to show her frustration. In the same way, jealousy over Courtney’s success is not about her. It’s about you, and what you don’t have. Why waste energy being negative? Focus instead on improving your own situation. Use her success as a spur and inspiration. That’s the core of Shine Theory; the women around you inspire you to achieve more than you think possible. Shine theory is about women lifting other women up, instead of tearing them down. It’s not a scientific theory; it’s common sense. Surrounding yourself with superior achievers inspires you to up your game. Hang out with fashionista friends, and learn to build a more flattering wardrobe. Listen to your money-savvy friend talk about her investments, and learn to make your money work harder for you. Learning from each other, sharing experiences…isn’t that what friendship is all about? Surrounding yourself with the best people makes you look better, not worse. 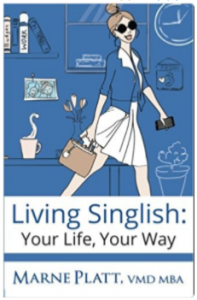 In Living Singlish: Your Life, Your Way you will learn from the experiences of other women, some of them famous and some of them just like you and me. Your self-esteem will grow. 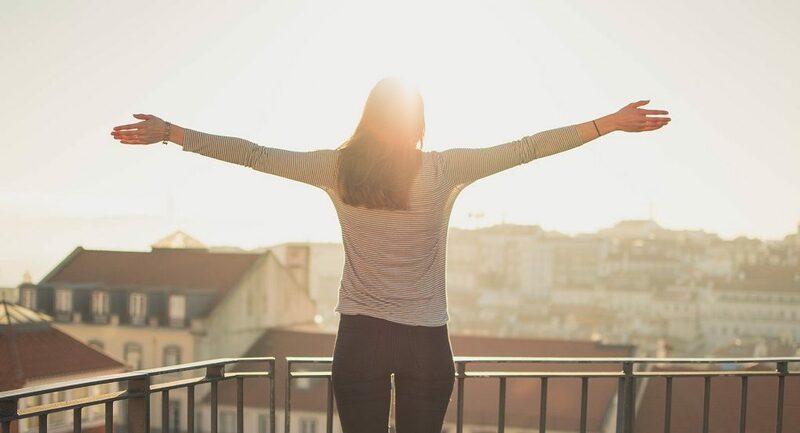 You will be independent, and confident, and you will love your life. Shine theory is even more important at work. Like it or not, other people consider your business network part of who you are. 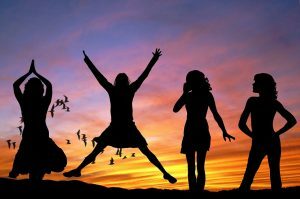 As women, we are often reluctant to seek out new contacts or tell people about our accomplishments. Hiding in your office is a good way to be left behind! Instead, we need to network -and not just with the people we see every day. Find the women (and men) in the roles you want to have, doing the things you want to do. Get to know them, and try to work with them. Their expectations will drive you to do better work, which will improve your profile. Picture one of these powerful friends behind you, telling you what to say when you ask for your next raise. You might do better than you thought! This doesn’t mean choosing friends and business associates strictly by their net worth, their looks, or their job title. Find people that you genuinely like, especially outside work, who have made it to where you want to be. Success is infinite. Despite society’s outdated messaging, it’s not a zero-sum game. When we help other people succeed, we create new opportunities for everyone. Want to learn more about Shine Theory? Try this episode on Stuff Mom Never Told you. I have built a great life but I made some mistakes along the way that you don’t have to make. I realized that there are lots of young women like I was, and a few simple principles to follow. So I wrote it all down for you! Marne Platt, VMD MBA founded Fundamental Capabilities after almost 20 years in the corporate world. Originally trained as a veterinarian, Marne reinvented herself several times, leaving clinical practice for the pharmaceutical industry, mastering roles in marketing, medical affairs and regulatory affairs, and becoming a global corporate leader. Along the way she developed a passion for helping women overcome barriers and reach their full potential at work and in life.